It’s creepy and it’s kooky! 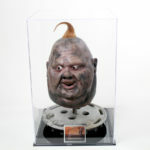 A screen used Addams Family Values movie prop in a custom themed display base with acrylic cover. 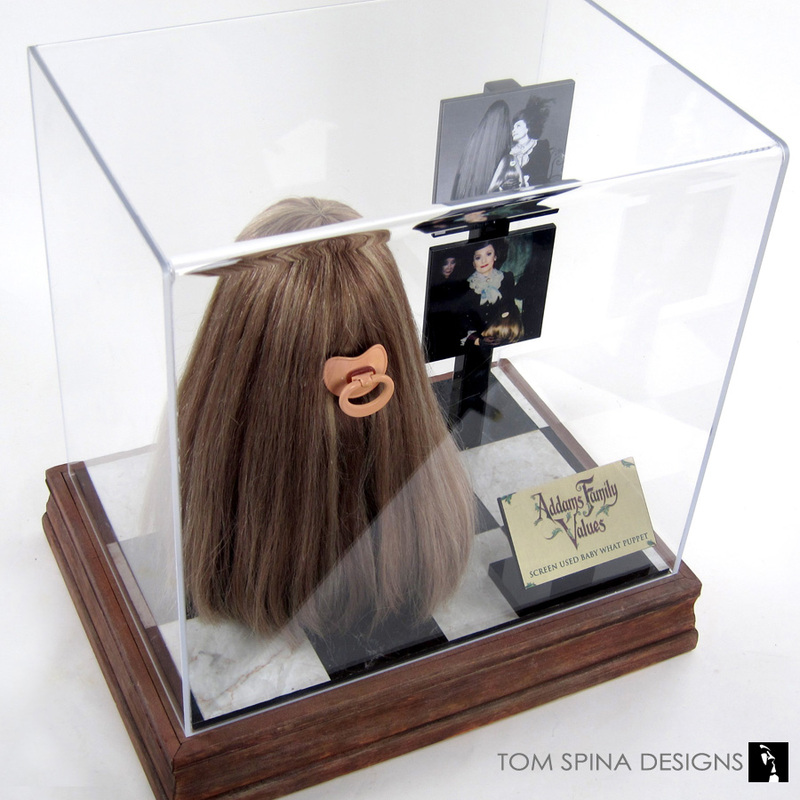 We created this custom themed display for this original Addams Family Values movie prop. 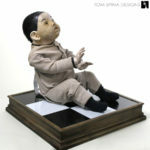 This prop puppet was used as Baby “What” Addams, son of Cousin itt and Margaret Addams, who was nicknamed for the reaction of the obstetrician upon his birth. Since What’s family has such an iconic style and look we had a lot of inspiration to take from for this movie prop display. We decided to keep the details very classic and true to the style of the Addams family home. We started with a wooden base to which we added detailed molding. We stained the molding a dark brown color and then aged it with sandpaper and streaked faded colors for a distressed movie set effect. We added black and white marbled tiles to the top of the base in a checkerboard pattern to finish off the gothic looking display base. To finish the base we added a custom acrylic stand to display the custom metal plaque describing the movie prop puppet as well as a few photos of Baby What’s happy family. To keep the prop in pristine condition for years to come we also added a beautiful acrylic display case cover. This thick acrylic cover helps protect the piece from any harmful UV rays, dust or dirt. They're creepier and kookier than ever! Download and watch the sequel film here!